Assault and Battery Attorney Framingham MA - Stephen E. Dawley, P.C. The term assault and battery covers a lot of offenses, including threatening actions, striking someone, use of a weapon, and other offenses. These crimes are serious and have possible serious consequences, including impact on employment, family life, and immigration status. A conviction can affect you for the rest of your life. It can also increase the chances you will be sued in a civil lawsuit. I am an experienced Framingham, Massachusetts, assault and battery lawyer, and I know how to defend against these charges. My name is Stephen E. Dawley and I have represented people in Massachusetts for more than 30 years. If you need a lawyer to defend you against any type of assault and battery charge, call my Framingham office at 508-308-8191 for an appointment or email at steve.dklaw@verizon.net. 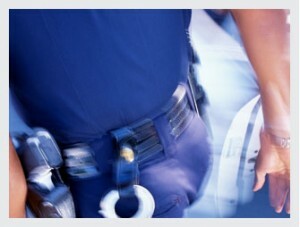 I can defend you against charges of assault and battery as well as assault and battery with a dangerous weapon. Charges involving a weapon are commonly prosecuted as felonies, which means the consequences of a conviction are more severe and may include jail time or lengthy periods of probation.